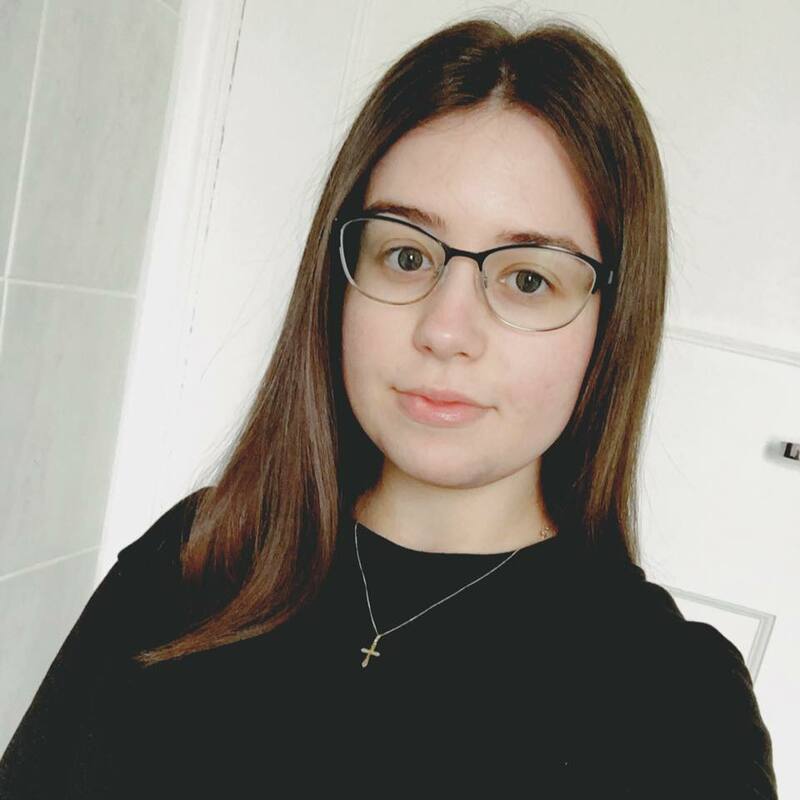 I did not want to write this post about the lies and deceit of Heather Jones of Brighton, England (UK). 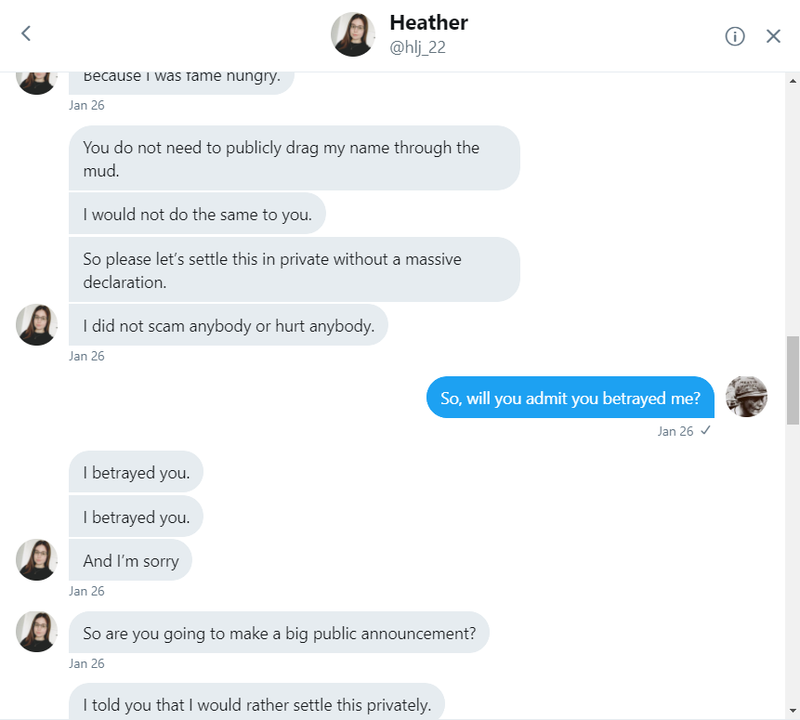 However, as recently as the 24th of March, Heather continues to use my name to further her lust for attention via SLANDER. I have been advised by many, to warn of her dishonesty, should she do the same to others, as she has done at BPS. 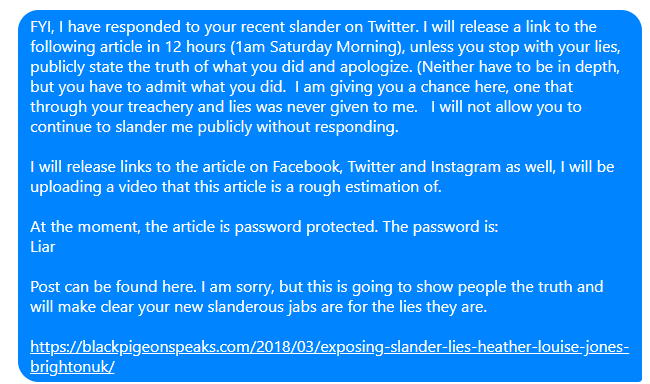 I even gave her the chance to just apologize, admit she was in the wrong and I would not publish this post exposing her. 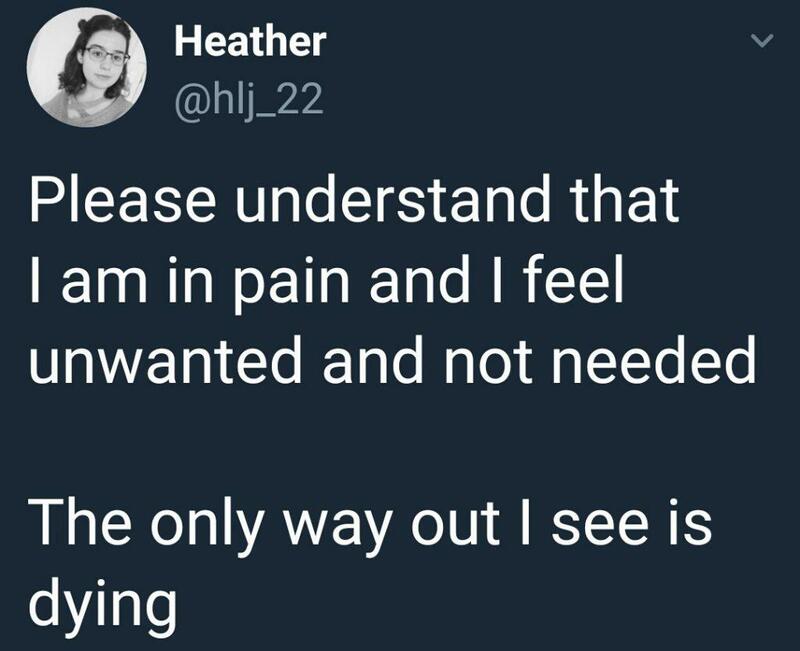 Original message sent giving her a way out and to save face. 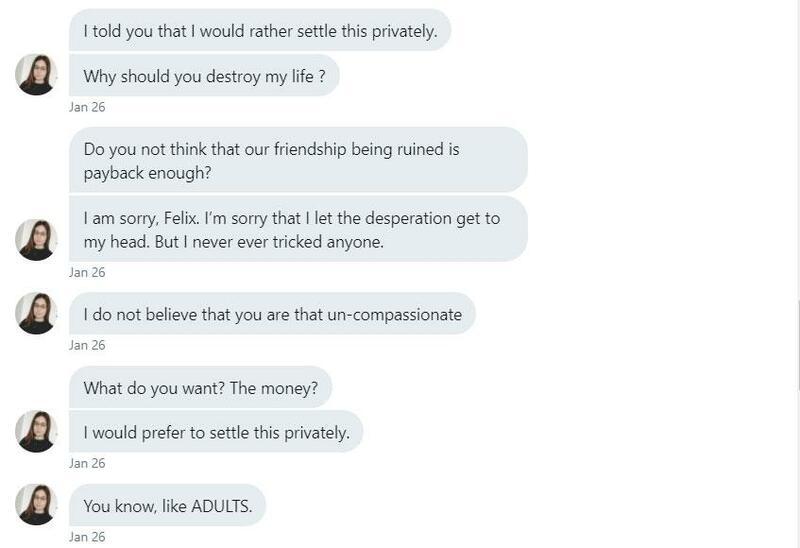 She then proceeded to post delusional drivel that I was not giving her a way out, but “threatening her.” And still playing the victim publicly. This post is a DIRECT REFUTATION of her ongoing slander, lies and pathological inability to speak the truth. 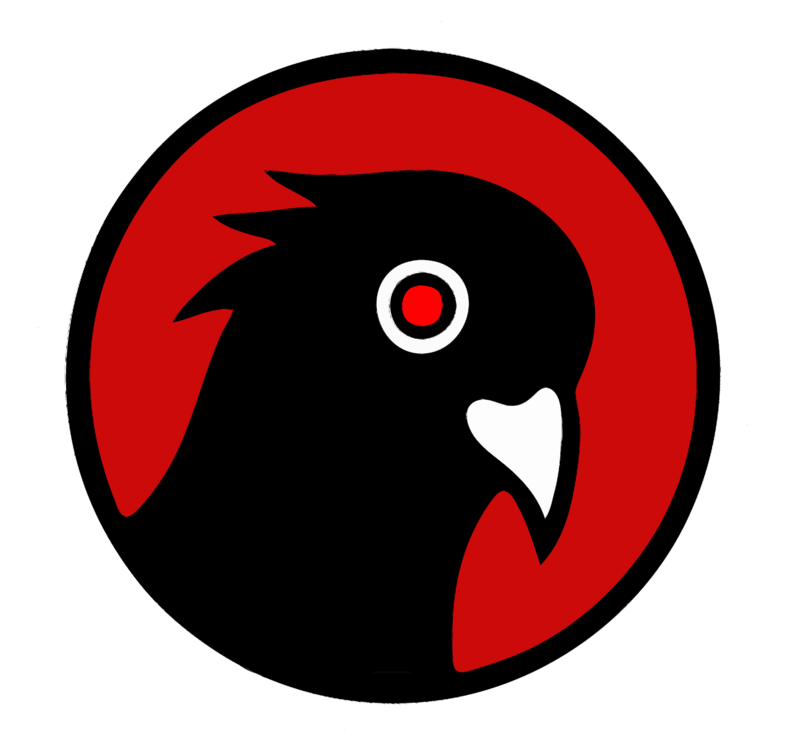 * If any of the images are difficult to read, please right click and open the image in a new tab. 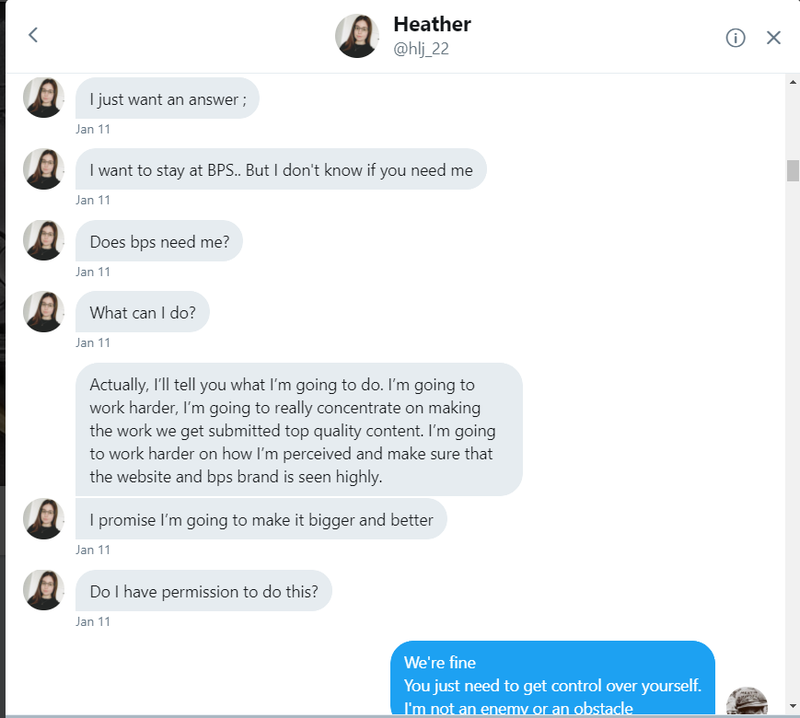 Heather Louise Jones of Brighton, the United Kingdom contacted me in the autumn of 2016 asking if I needed help with my website. 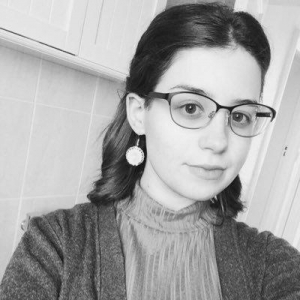 I was thankful for the idea of getting help and welcomed her to publish articles on the site. 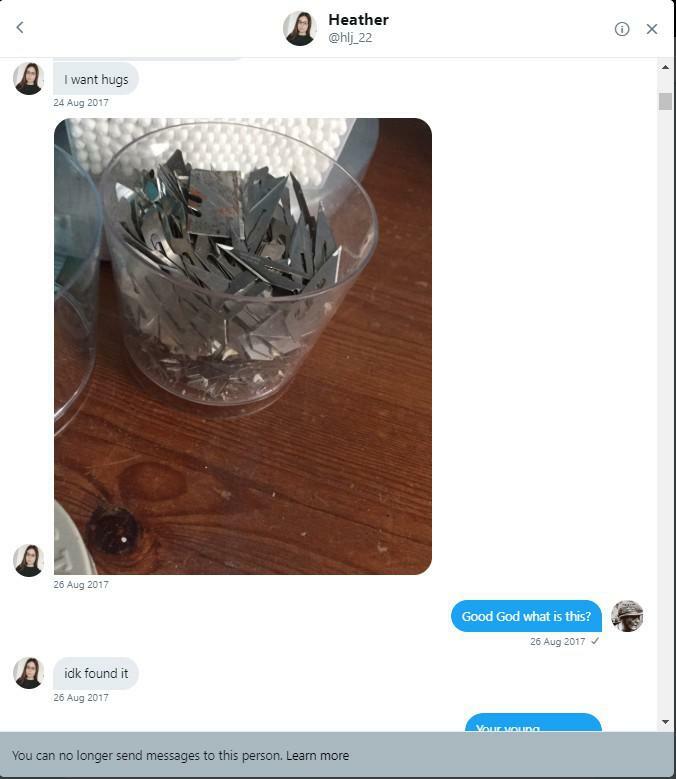 She then suggested she could filter my email. 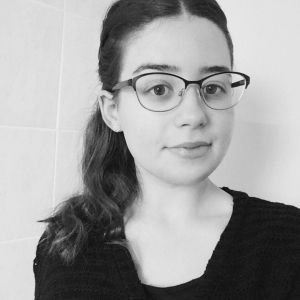 I then set up an email and gave her the username and password. 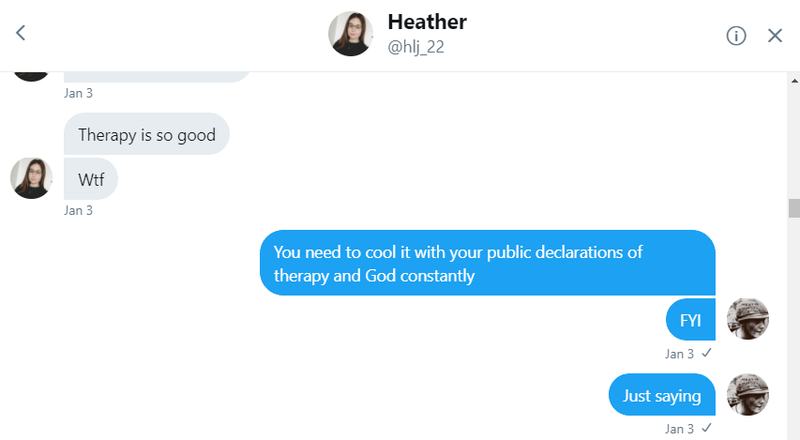 To make a long story short, I gave her little oversight and Heather took advantage of this. Very briefly, she stopped replying to any emails that did not concern media requests for interviews with me (BPS). 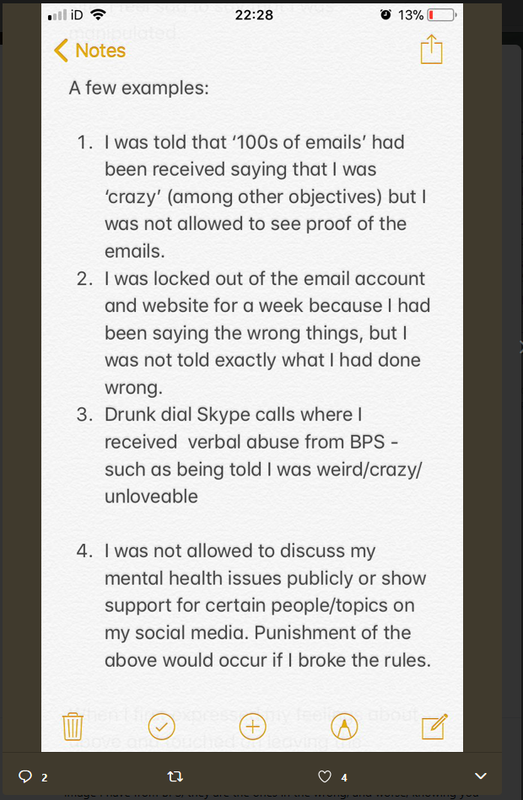 In fact, in one interaction she not only lied, calling me only “the voice” of BPS, but bizarrely when trying to manipulate her way into being interviewed by a Japanese TV broadcaster she said that she was currently “overseas” in the UK. 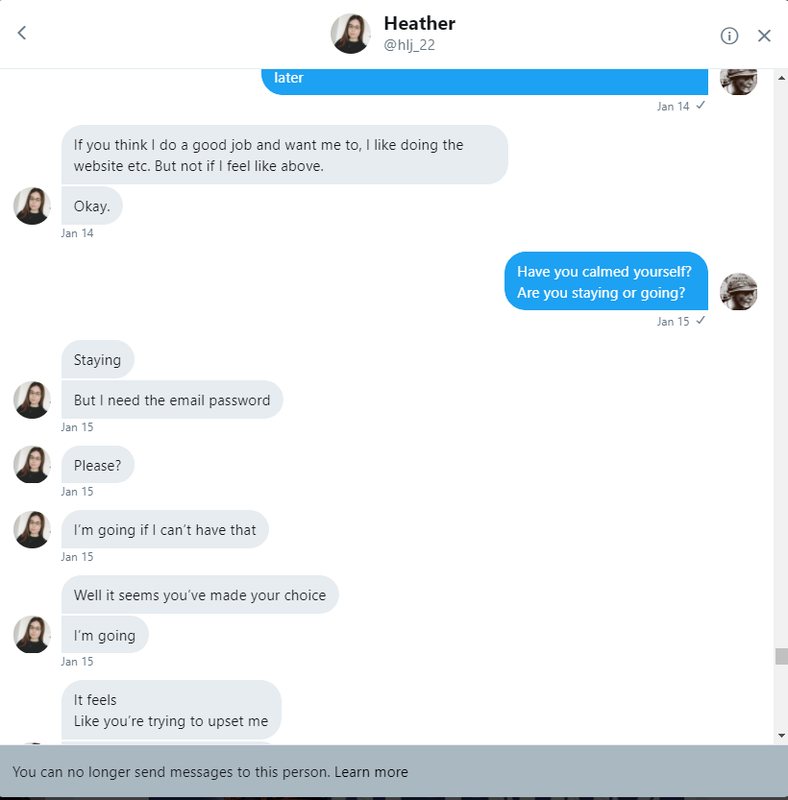 When the Tokyo Broadcaster was insistent that they did not want to talk to her, Heather just stopped replying. She ran scam merchandising events. 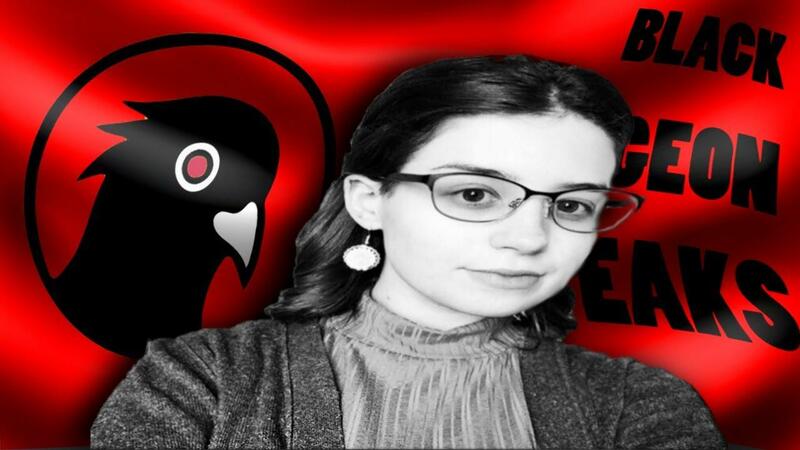 Around January, at the urging of the tech admin of my site, I began to sense something was wrong and went to check what she was doing on the email provided her. 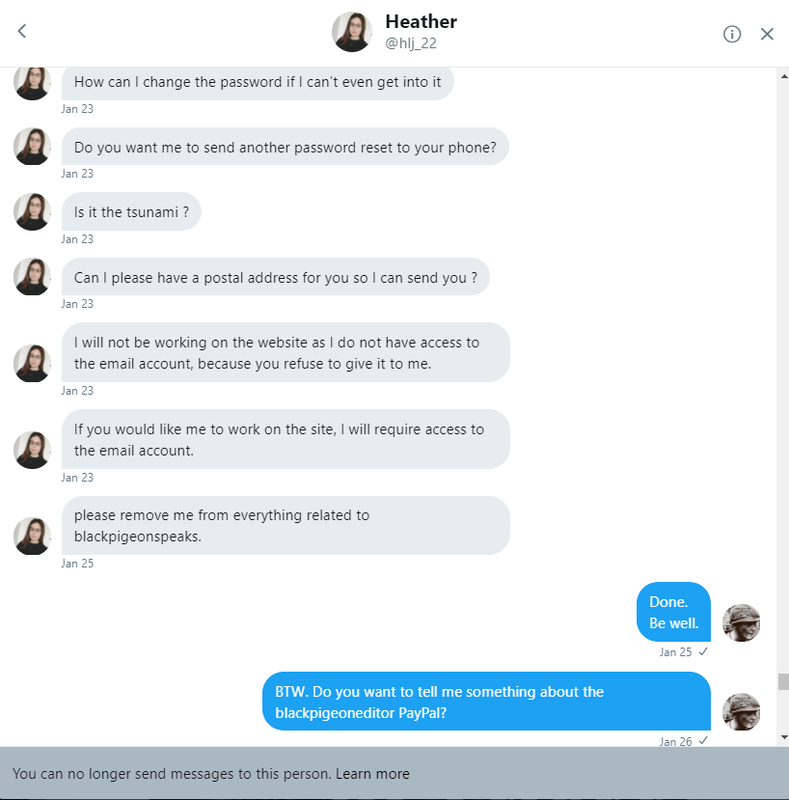 She had changed the password, but was not clever enough to change the recovery options. 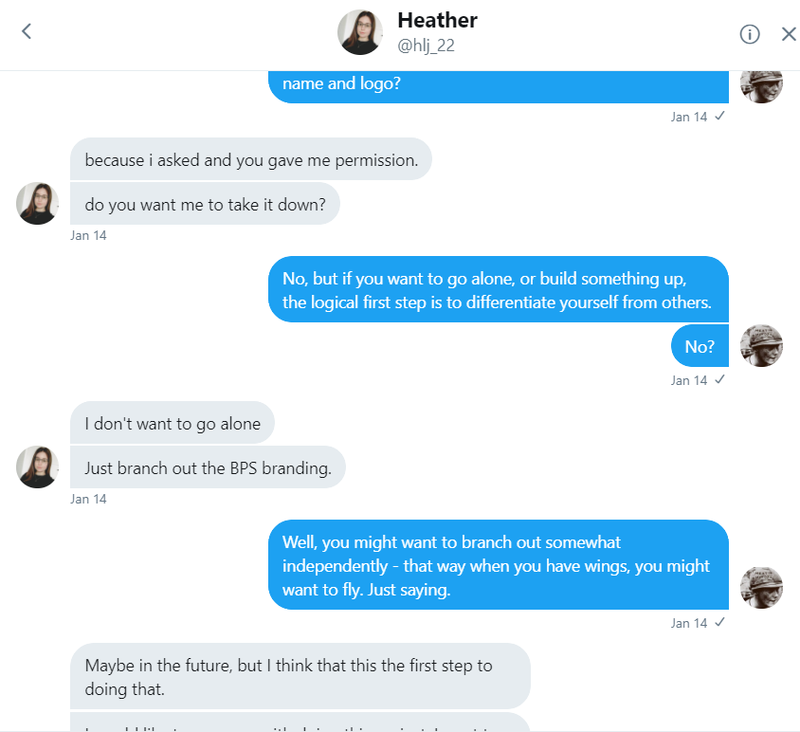 This is how I came into the knowledge of Heather Jones’s web of lies and manipulation. To be clear, she wanted the whole matter hushed up. 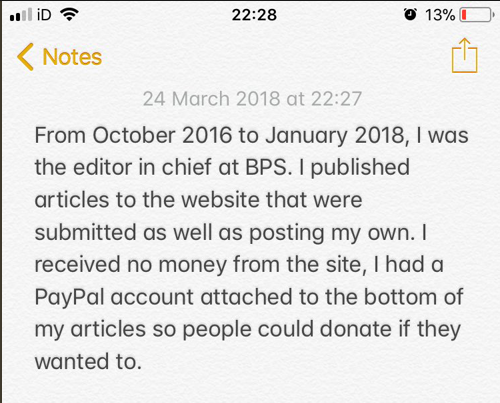 No, what she did was set up a link to donate to blackpigeoneditor@gmail.com on every email sent and set up a PayPal with that email without my knowledge or consent. I don’t care about this part. But it again is not true. This was all I wrote on the subject of her constantly posting to social media. 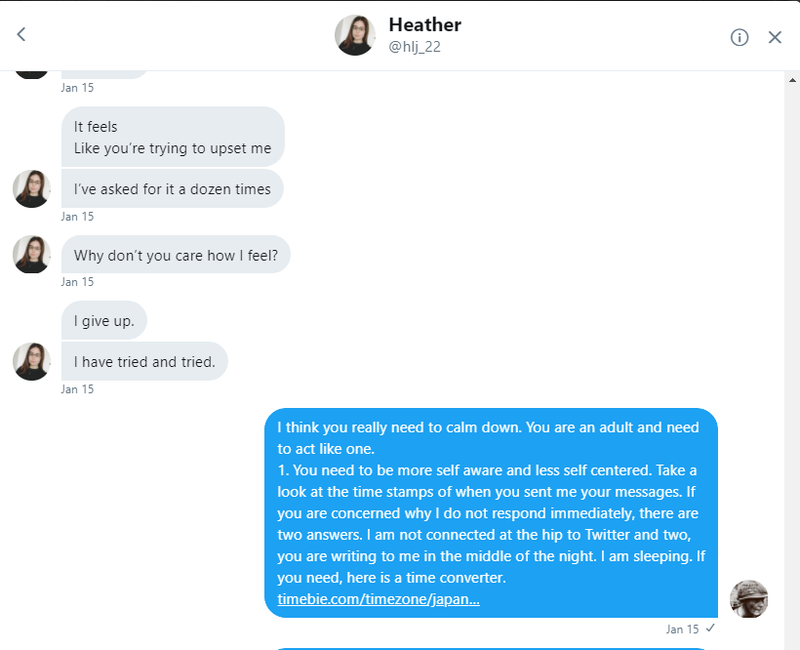 In fact, a month after I removed Heather she was still posting things to get attention, and I was being sent letters to intervene. She also would send me pictures like below to solicit sympathy. 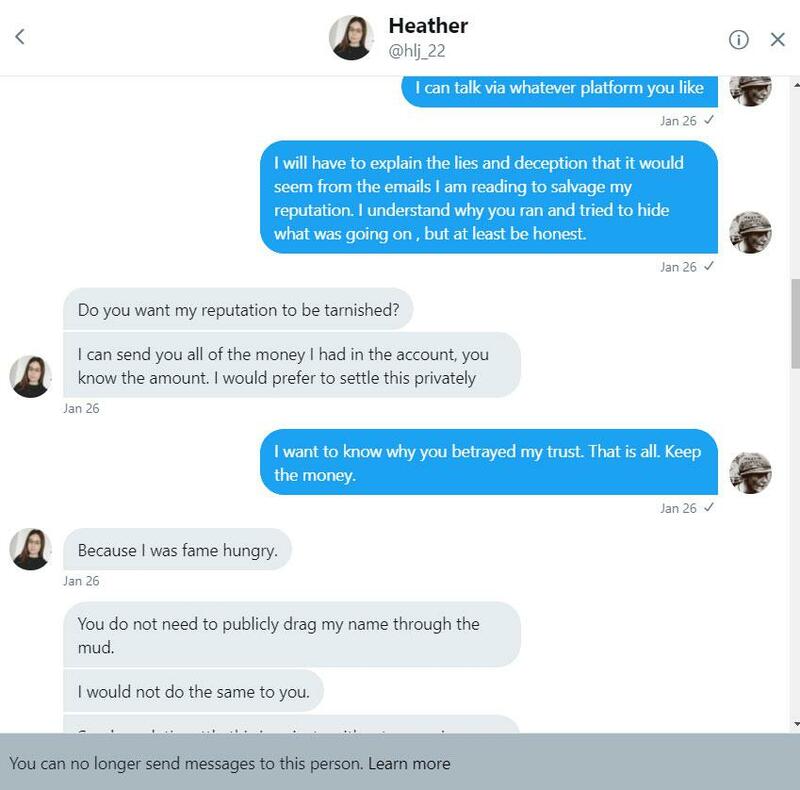 In fact, Heather has solicited money online by playing the victim on several occasions and some of them afterwords became wise to her scams. Again, she NEVER touched on leaving. 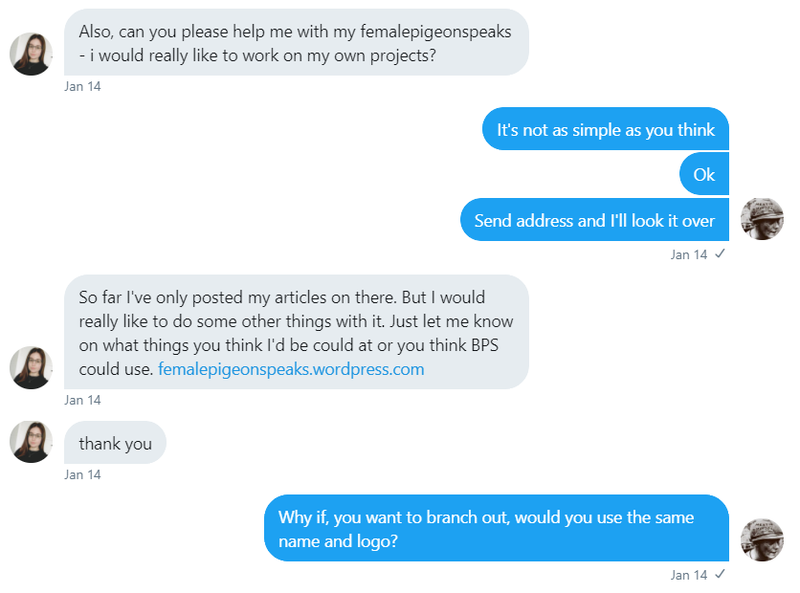 She had, in January just started her new “Female Pigeon Speaks” blog and was desperate, pleading with me to stay. 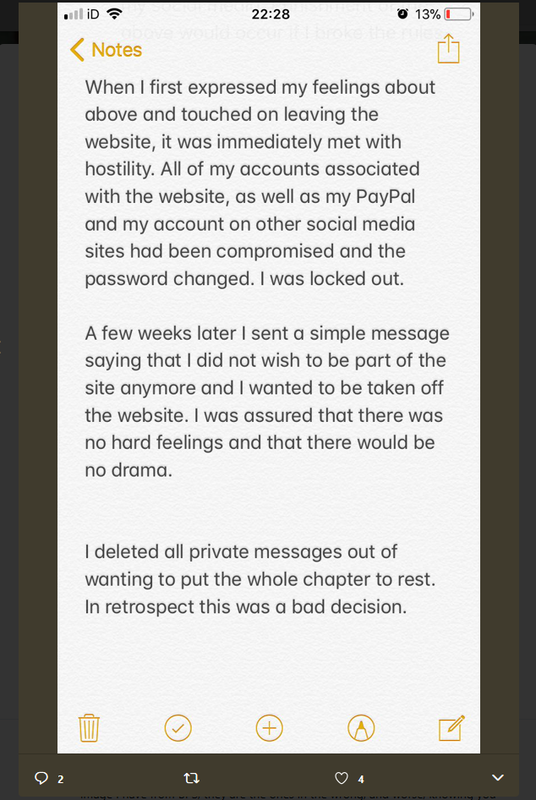 In fact she opened a blog (since deleted) called “Female Pigeon Speaks” and was adamant that she wanted to continue at the site (this was previous to me finding out about her lies). Notice the dates. 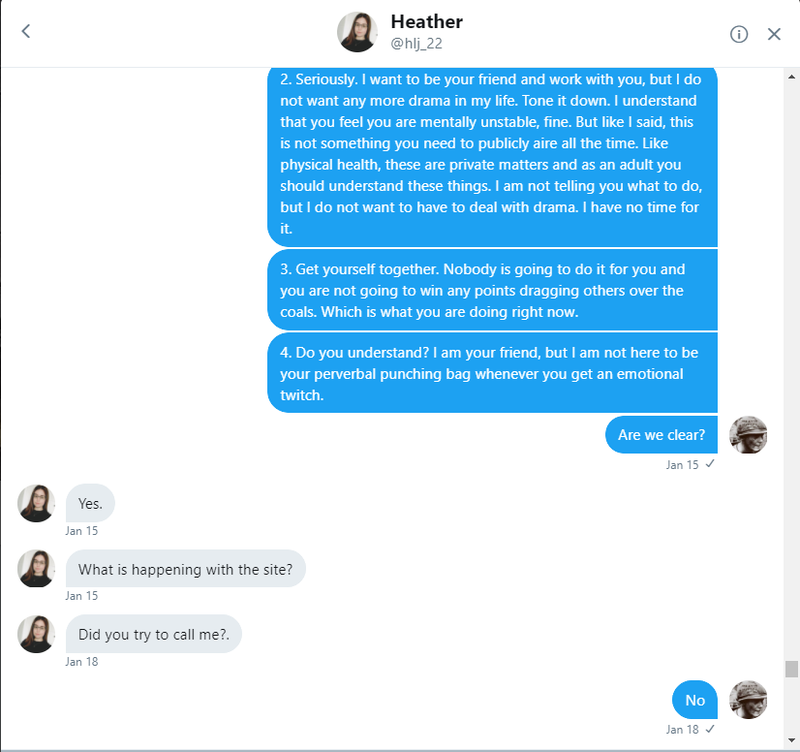 Heather even lies for no reason. 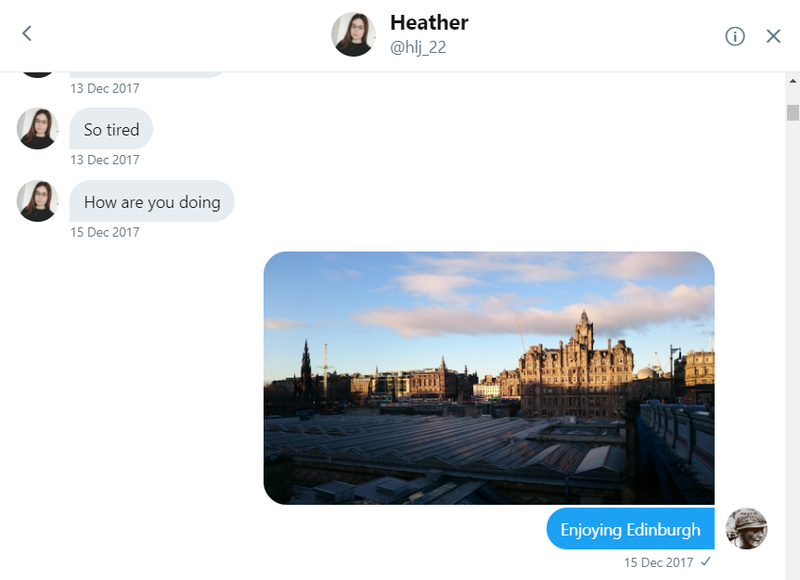 There are many instances of her talking about taking “overseas business trips,” but I even sent her a photo while I was in Edinburgh, Scotland. 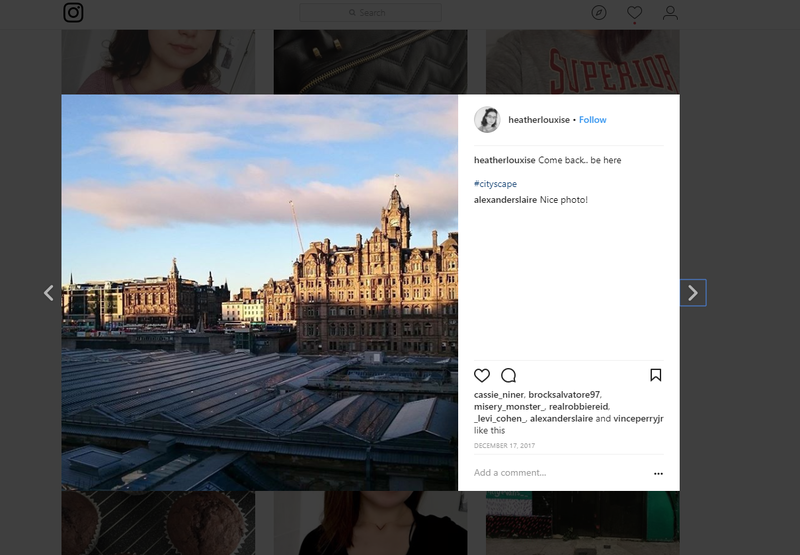 She then took it, re-posted it on her Instagram as though it was hers and she was the one there. There was literally no reason to lie. But she did. 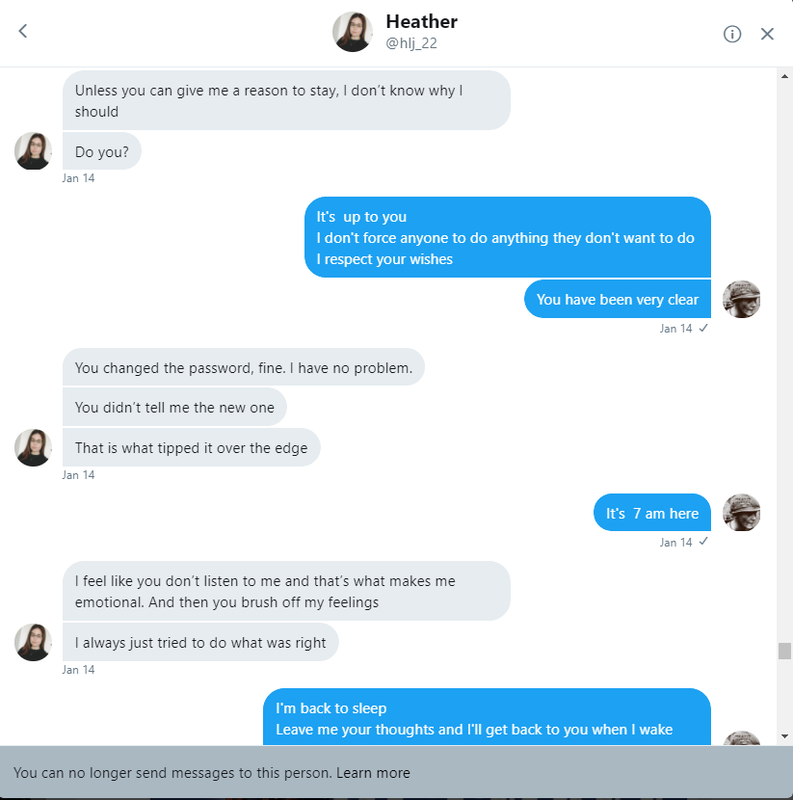 This could be a vast and lengthy article if I wished to catalog Heather’s unbridled pathological behaviours. However, she is not worth it. 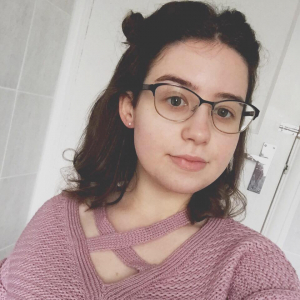 She is not worth the time. Nor the energy. 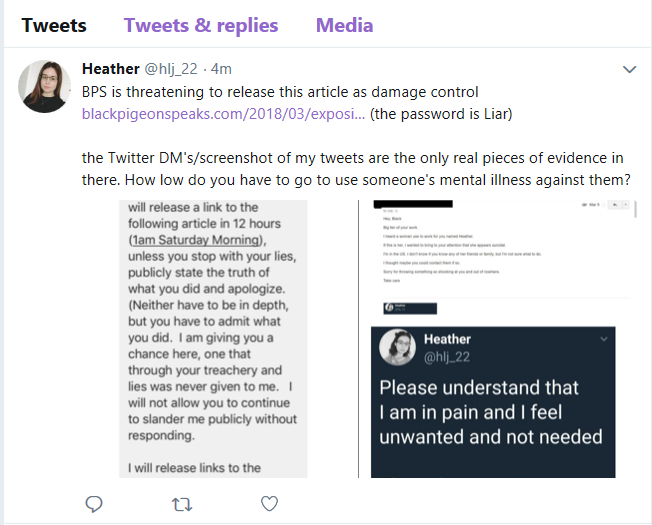 This post is a public service announcement rebutting the slander of Heather Louise Jones of Brighton, UK as well as a general warning. 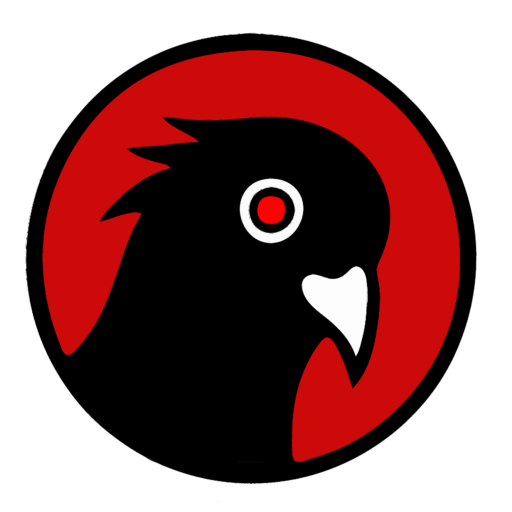 Previous PostIs the Modern Western World operating under the Ancient Oligarchic System?